An expedition to the Rolwaling Valley area in the high Himalaya of Nepal. We climb a series of three peaks that are close to and above 6000m before also crossing the 5700m Pass between the Rowaling and Khumbu areas. The trek and peaks require only relatively basic glacier and winter climbing skills but require stamina and determination. 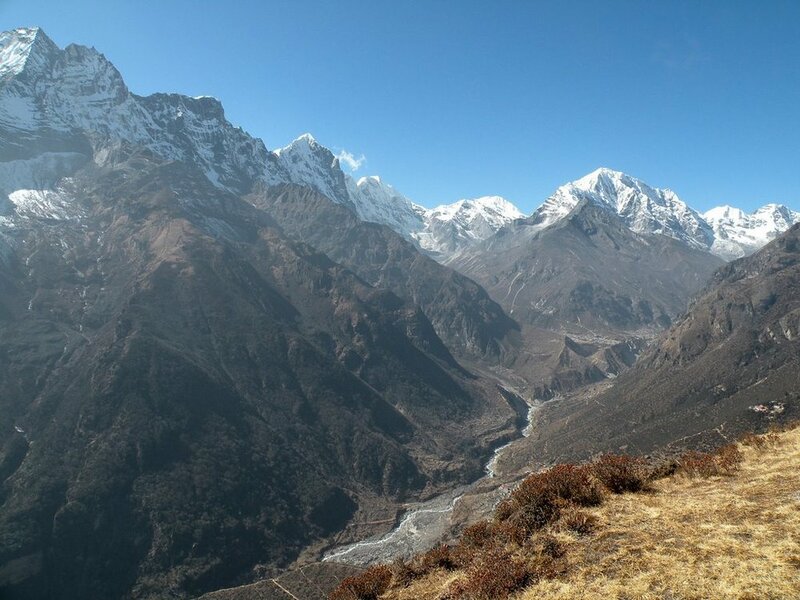 The Rolwaling and Khumbu valleys are both justifiably renowned as among the most spectacular trekking locations in the world. This trip visits both and offers a significant Himalayan peak as part of the traverse between them. Along the way we will experience fantastic examples of Sherpa and Tamang culture among the towering peaks, tumbling glaciers and shimmering lakes. For more information or booking please visit the Parchamo Peak and Rolwaling Trek’s page on Adventure Alternative UK website. Day 16: Spare day for poor weather or slow acclimatization. For a more detailed itinerary please click here.